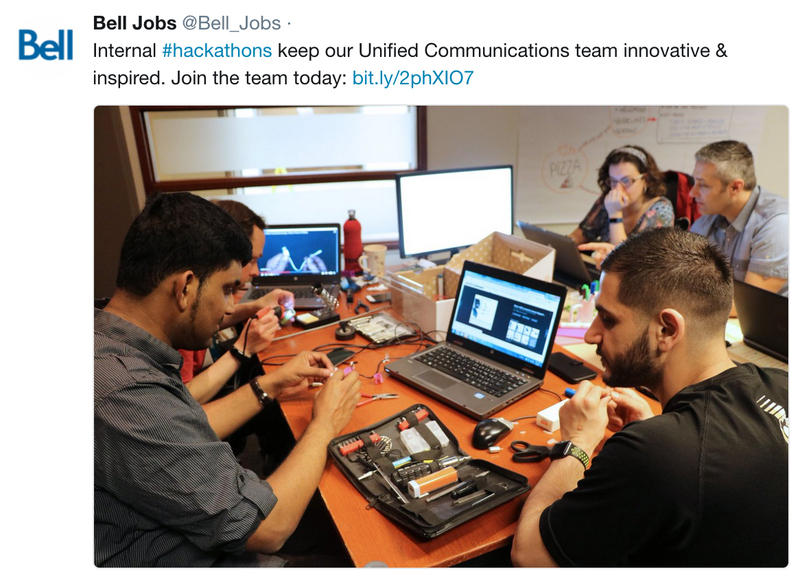 Bell’s Unified Communications (UC) team is blazing a trail of innovation as they work on, and develop, new communications products and Internet of Things (IoT) solutions. 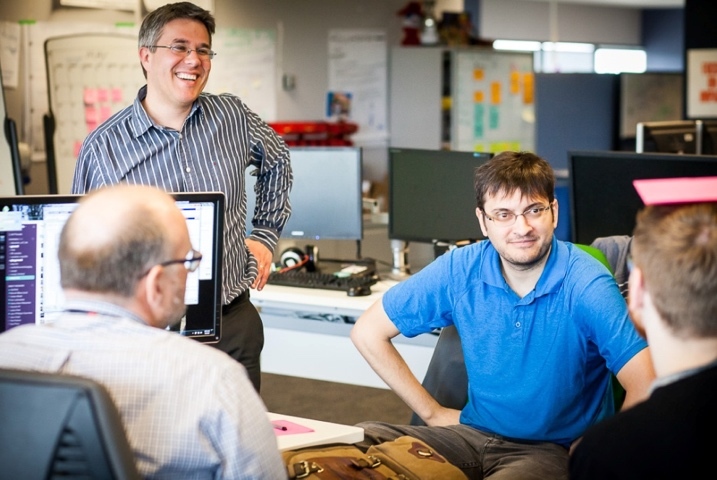 The team is comprised of developers, scrum masters, agile coaches, as well as a diverse group of collaborators. When you step into their work space, the environment of innovation is immediately evident. Project teams are huddled together working, laughing, and most importantly, collaborating. Their workspace is bright and open and, recently, traditional cubicles have been replaced with standing desks, yoga balls and walls of sticky notes. It wasn’t always like this though. “Our work space is a by-product of a problem we were experiencing,” explains Eric Dessureault, Director of the Unified Communications team. “As people gathered for project meetings, we saw them going back and forth between cubicles and even buildings. We couldn’t expect people to work as a team when they sat in two different buildings. So, we changed it.” To stay competitive in the market, the UC team must turn around product updates more quickly and efficiently than ever before. Change needed to happen and it started with their technology, processes, people, and workspace. The team continues to innovate by exploring and using the latest technologies in both their professional and personal projects. On the floor, you’ll often overhear colleagues discussing automation (using Ansible), how to dockerize their applications, their new Slackbots, and whether they should use Python, Java, NodeJS or GO. Posters are hung on the walls stating their most important mindset: “Keep the architecture elegant and the code clean.” Team members are also trusted and encouraged to include personal projects into their workflow to help nurture their creative spirit and to stay inspired at work. Bell also invests in the team by providing access to training and knowledge transfer activities. 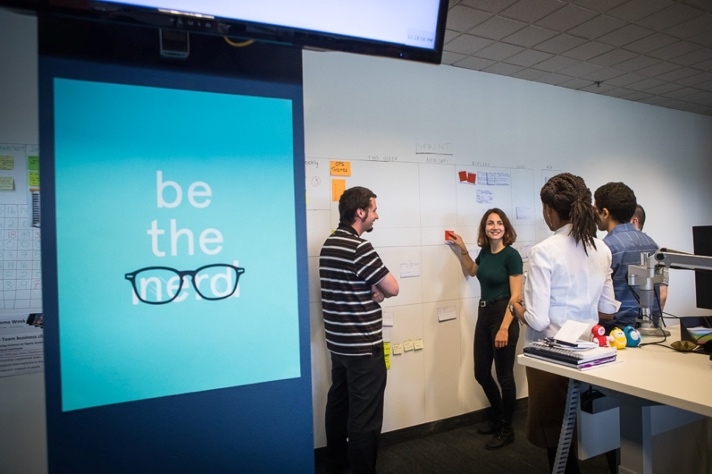 Today, many of these initiatives are integrated into their daily schedules including hackathons, meetups, and other events like “coding dojos,” “innovactions” and other community practices. As a result of this culture, team members have a passion for what they do and often volunteer to get out in the community to network, learn and share their transformation story. For the team, innovation is not just about technology, it’s also about methodologies and processes. Practicing Test Driven Development (TDD), Continuous Integration, and Continuous Delivery (CI/CD) allows them to move fast and bring new features to the customer. The team fosters a culture where they are encouraged to try new things and to not be afraid to fail. Embracing problems and investigating solutions to improve the way they work and deliver is part of their DNA. Interested in joining the Unified Communications team? We’re hiring! Visit us on Stack Overflow or our career site to learn more.